Home / News / Dubai / Blog Dubai / How the UAE’s new value-added tax (VAT) applies in the ‘Designated Zones’? How the UAE’s new value-added tax (VAT) applies in the ‘Designated Zones’? As from 1 January 2017, the new value-added tax (VAT) was imposed on all goods and services supplied or imported in the UAE. 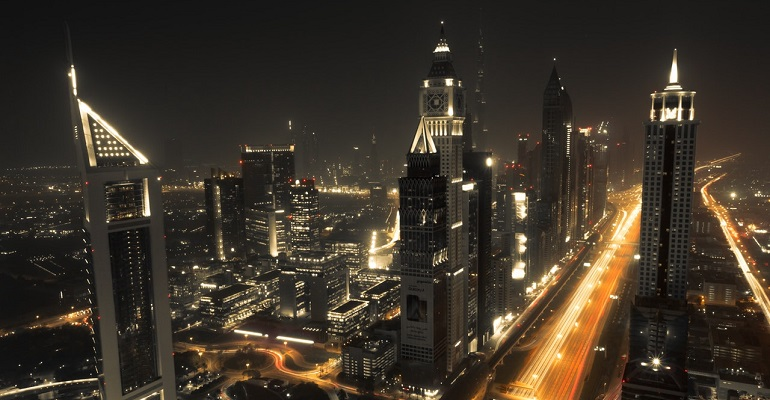 However the UAE Ministry of Finance has confirmed that 20 Designated Zones, recently listed by the Federal Tax Authority (FTA), are to be treated as being outside the UAE for VAT purposes and therefore not subject to VAT. This means that if a supply is treated as not taking place in the UAE, then UAE VAT should not be charged – with some exceptions. It should also be noted that the Designated Zones — specific, fenced geographic areas that have security measures and customs controls in place to monitor entry and exit of individuals and movement of goods to and from the area — are not the same as the UAE’s Free Zones. As anticipated, however, important Free Zones such as the Jebel Ali Free Zone (JAFZA), the Ras Al Khaimah Free Trade Zone (RAK FTZ), the Dubai Airport Free Zone (DAFZA) and the Khalifa Industrial Zone Abu Dhabi (KIZAD) have been included on the list. Goods arriving in a Designated Zone from outside the UAE will not be treated as if they have been imported into the UAE. Goods transferred between Designated Zones will also not be subject to VAT provided that the transfer is fully in accordance with UAE Customs Law and that no part of the goods are used or altered during the transfer. The UAE authorities may require the owner of the goods to provide a financial guarantee for the payment of tax, which will become payable if the conditions for movement of goods are not met. Many businesses may therefore assume that because they are located in a Designated Zone, the UAE VAT law does not apply to them and that, as a result, they are not required to register for VAT or to account for VAT. However, certain items originating in Designated Areas are to be treated as if they originated in the UAE for tax purposes and will therefore be subject to VAT. These include the supply of water and any form of energy within Designated Zones. Any goods unaccounted for or consumed by the owner will also be treated as being imported into the UAE by the owner, even if they are located in a Designated Zone. Article (51) of the Executive Regulations states that the place of supply of services will be considered to be inside the state if the place of supply is in the Designated Zone. In other words many businesses that are located in a Designated Zone will – depending upon the nature, volume and recipients of their supplies – have to pay VAT on their consumption, charge VAT on their supplies and will certainly have to register for VAT. The two tables below summarise how VAT will be ‘payable’ and ‘chargeable’ for companies that are based in a Designated Zone. Sovereign Corporate Services provides consultancy and advisory services in respect of the UAE’s new VAT regime. We can also offer assistance with initial VAT registrations, VAT-compliant accounting and bookkeeping services and the filing of VAT returns. Please contact us for an initial, ‘no obligation’ consultation regarding your VAT and accounting requirements.